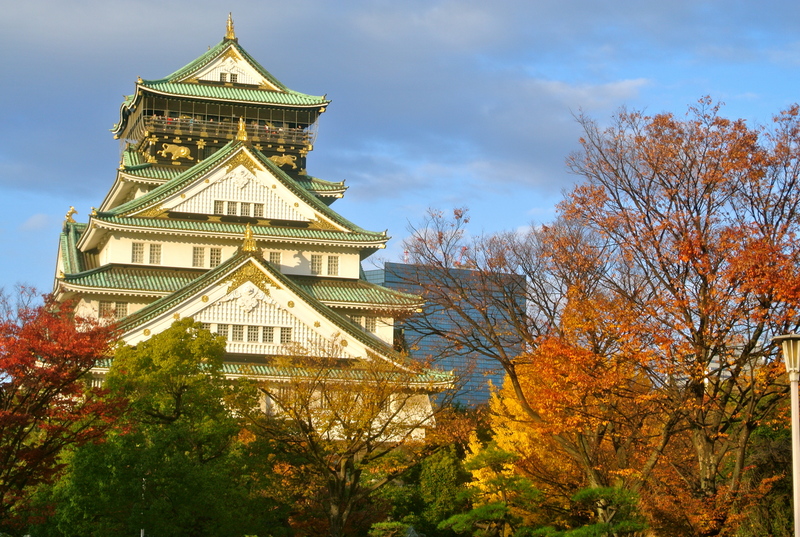 Osaka is the second largest metropolis in Japan, and is located in the Kansai region about 3 hours away from Tokyo by bullet train. 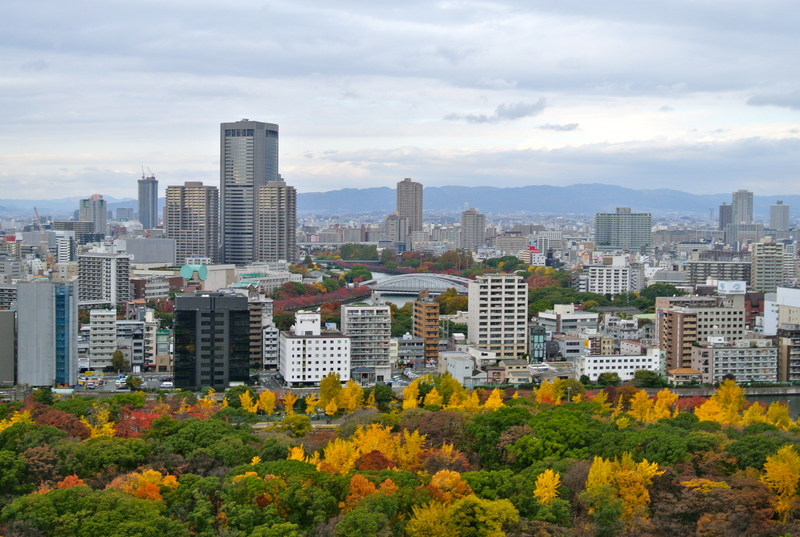 It’s the capital of Osaka prefecture as well as the largest part of the Keihanshin metropolis, which is composed of the cities of Kyoto, Osaka, and Kobe. 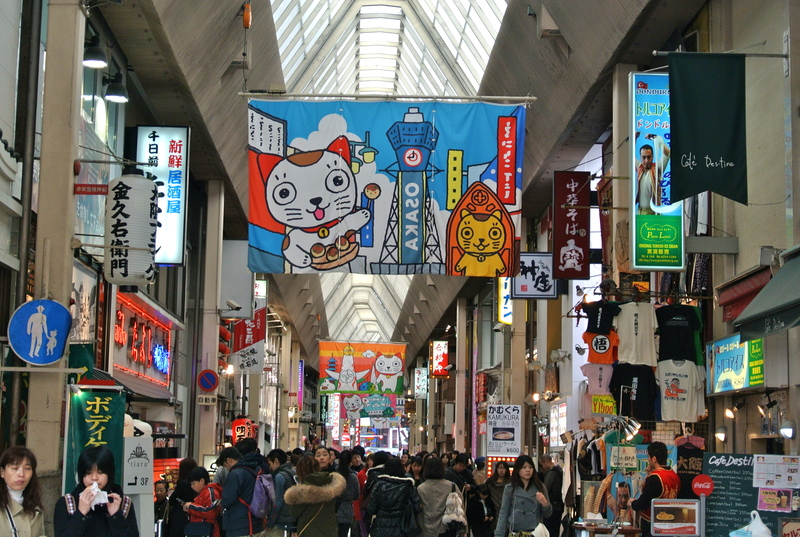 Historically, Osaka is the commercial center of Japan and was the country’s center for trading rice in the Edo period. 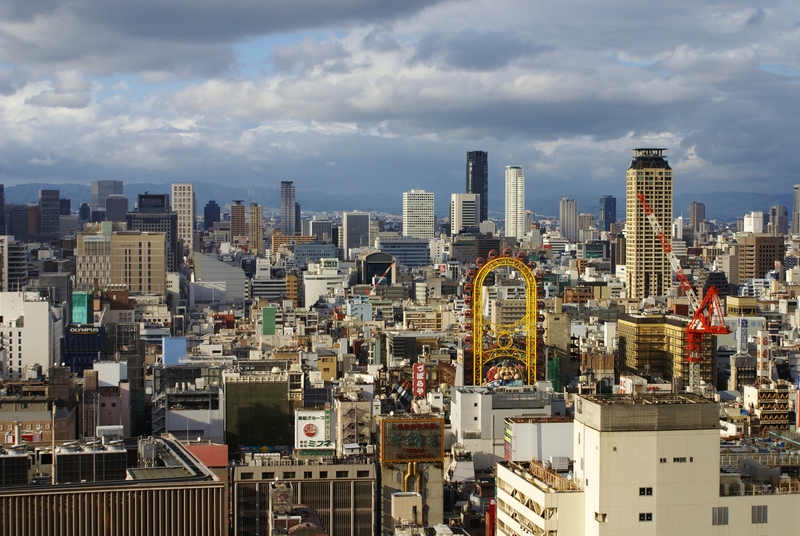 Today, Osaka still functions as a major center for the Japanese economy and is home to several important electronic companies, including Panasonic and Sanyo. 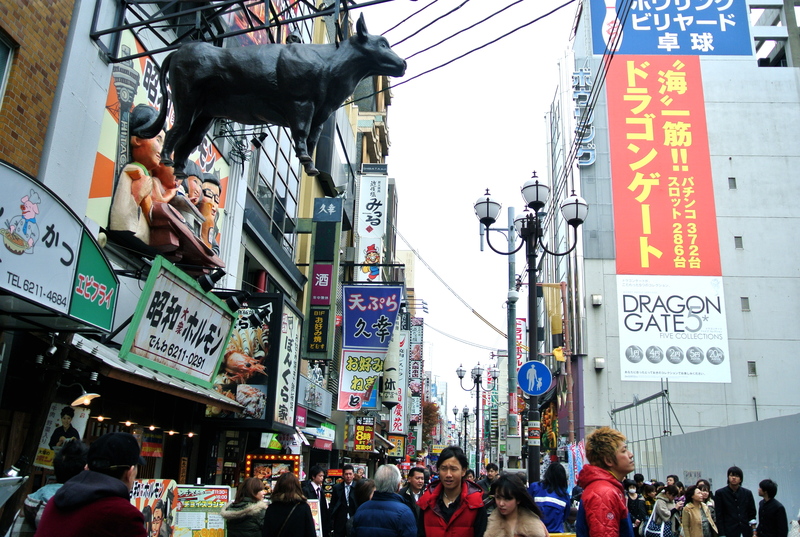 Although I didn’t spend much time in Osaka, this is one city that I definitely want to revisit. 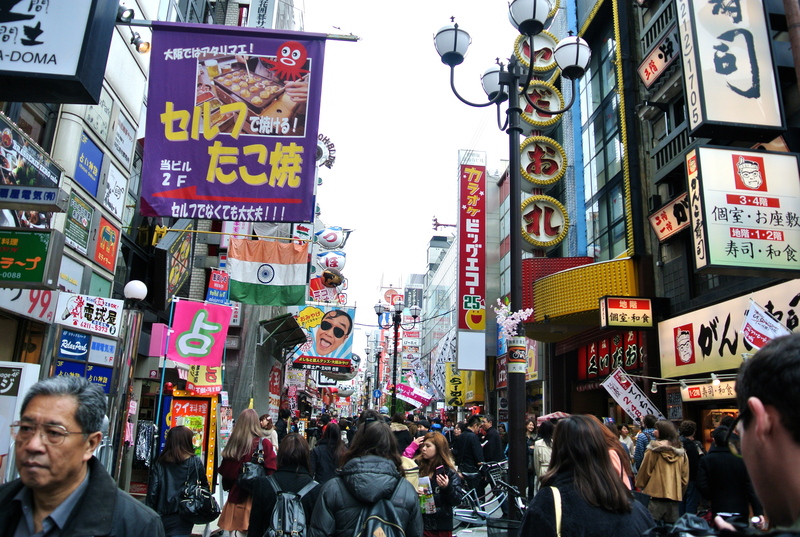 Because Osaka is also known for its food, I began my travels in Dotonbori, a street in the center of the city that is famous for its flashing neon signs, dozens of restaurants, and regional cuisine. 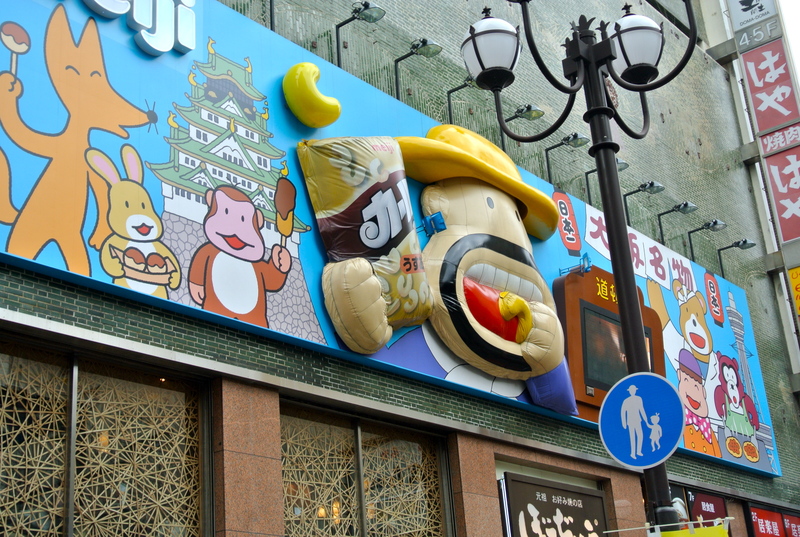 Dotonbori is a huge tourist attraction and the main destination for food travel in the Kansai region. 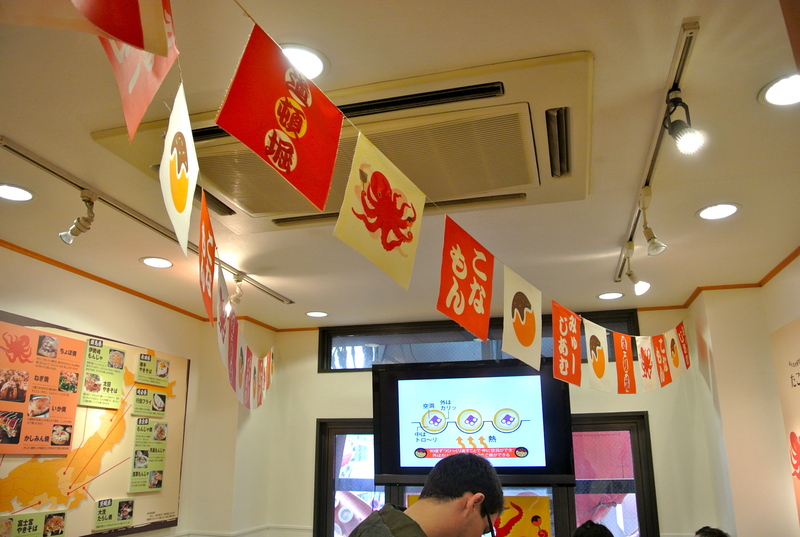 Here, you can try many cuisines such as takoyaki, okonomiyaki, udon noodles, and sushi. 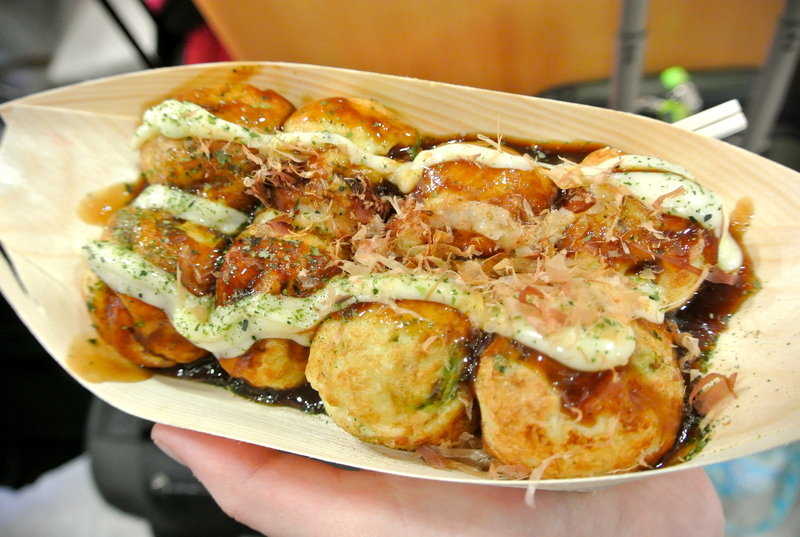 We visited a well-known takoyaki restaurant and spent a half hour in line just to try it! 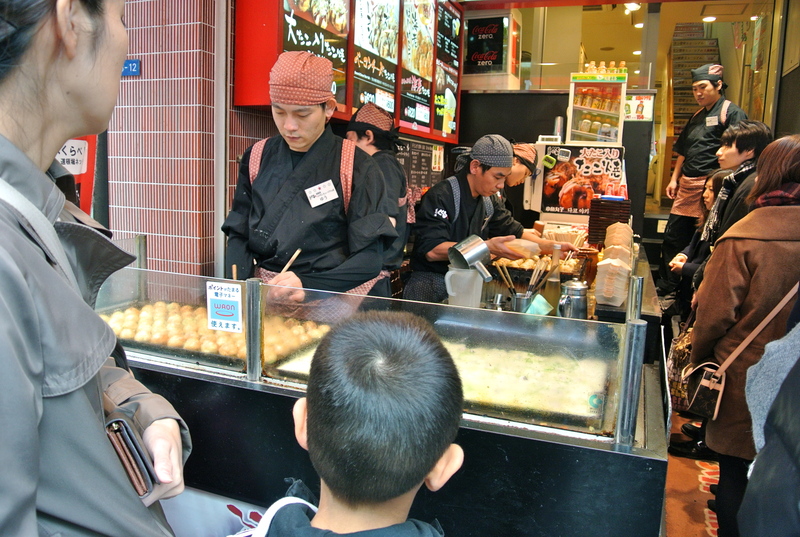 In Osaka you often hear or see the word kuidaore, which literally means ““to ruin oneself by extravagance in food.” This is exemplified in many local proverbs, particularly ones that compare the city to Kyoto. 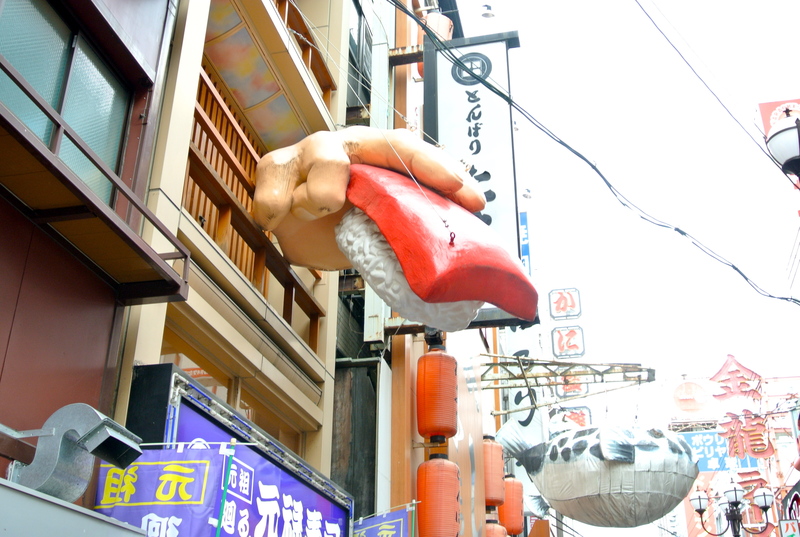 One old saying says that while Kyotoites spend all their money on shopping and kimonos, Osakans are ruined by spending money on food. 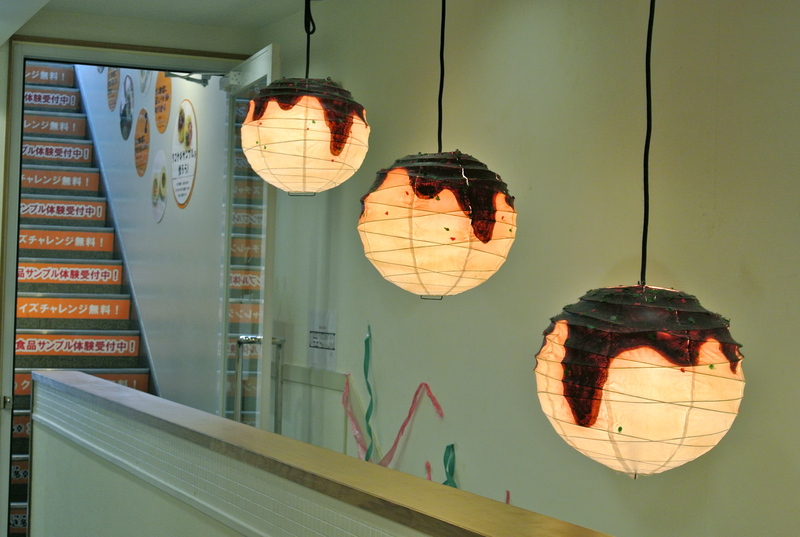 And with so many delicious options, it’s easy to see how. 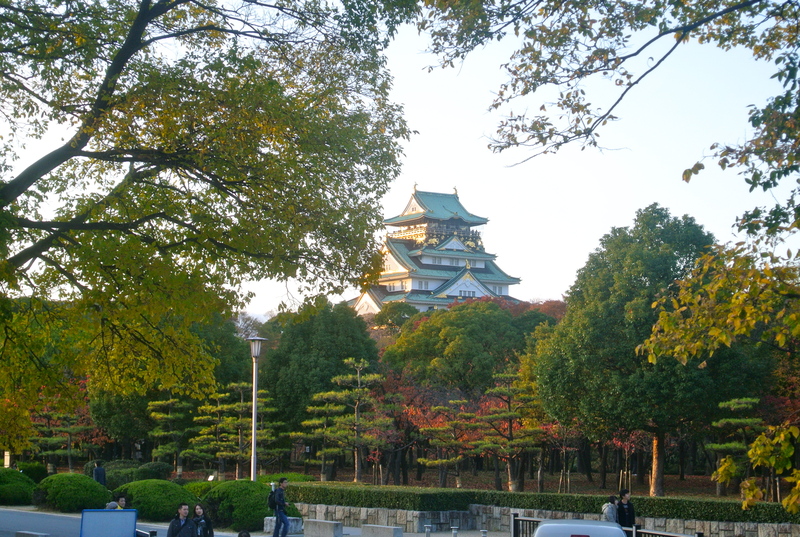 If you need somewhere to walk off all the food in Dotonbori, Osaka Castle is another popular tourist destination and a beautiful history site. 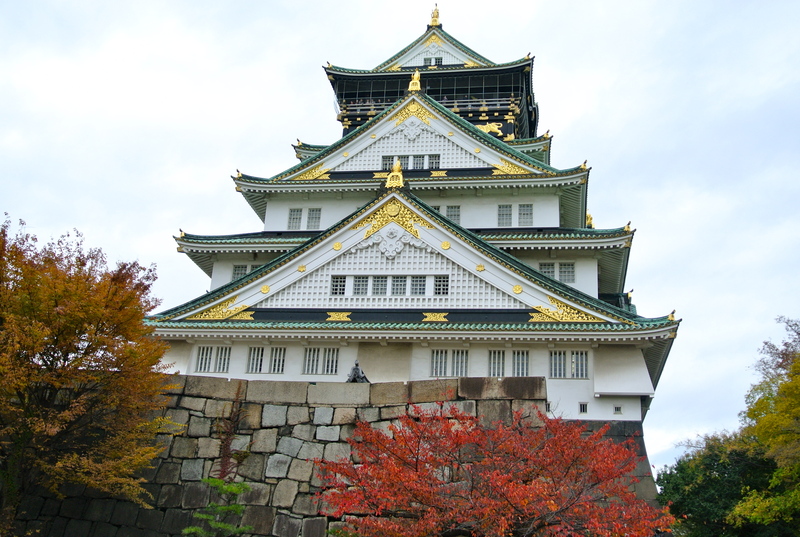 Surrounded by Osaka Castle Park, the castle is one of Japan’s most famous buildings and played a major role in uniting Japan during the 16th century. 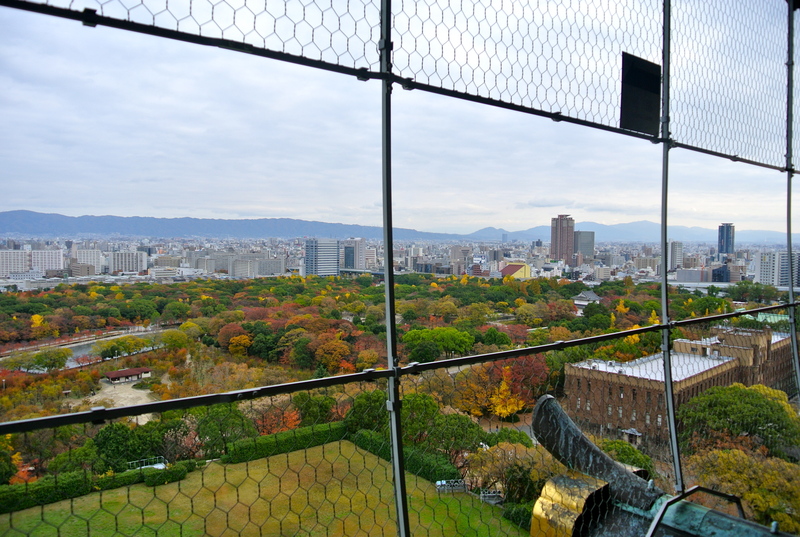 Osaka Castle was built in 1583 under orders of Hideyoshi Toyotomi, a territory lord and general who is revered as Japan’s second great unifier. 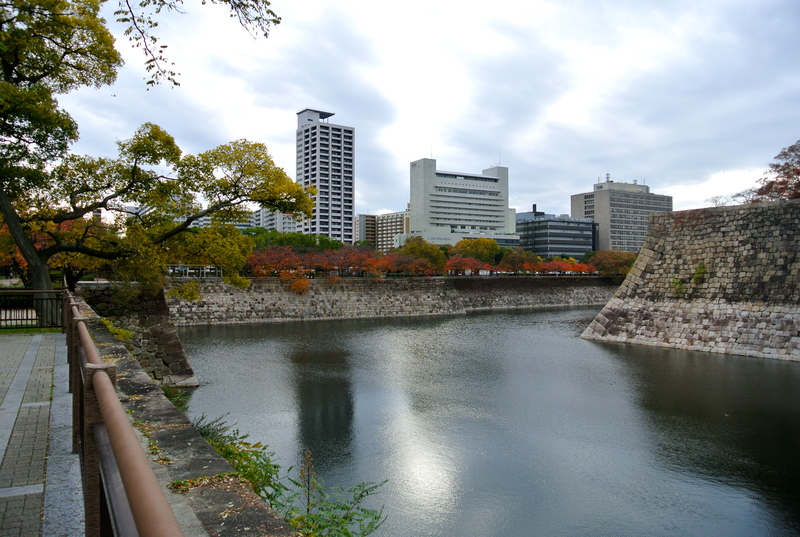 While it was burned down in several battles, the castle was rebuilt in the early 20th century and is considered a symbol of Osaka. The castle is open to the public, and contains a museum inside with many artifacts and displays about the 16th and 17th century. On the 8th floor, you can also enjoy amazing open-air views of the city. 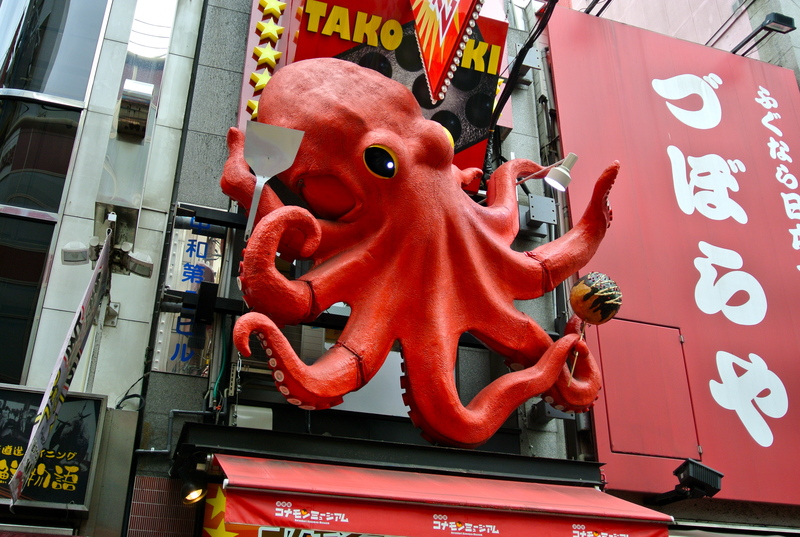 Osaka also offers attractions for all ages, including the second largest aquarium in the world, traditional theaters, shopping districts, an enormous Ferris wheel, and more. Plan to stay for a few days, and make sure to bring plenty of money for food. You may leave a few pounds heavier than when you came, but with so much to try and do, it’s definitely worth it. 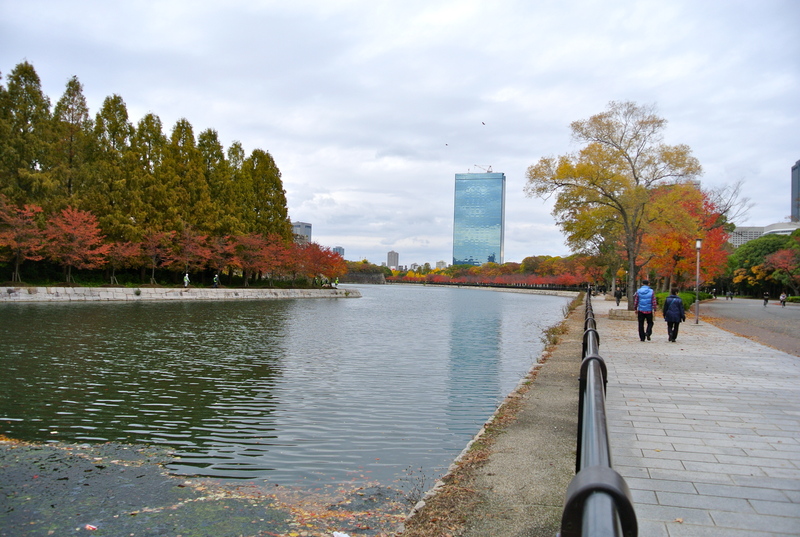 I’ll be finishing my tour of the Kansai area next week, but thanks again for reading! What kind of travel destinations do you prefer, historical or modern? 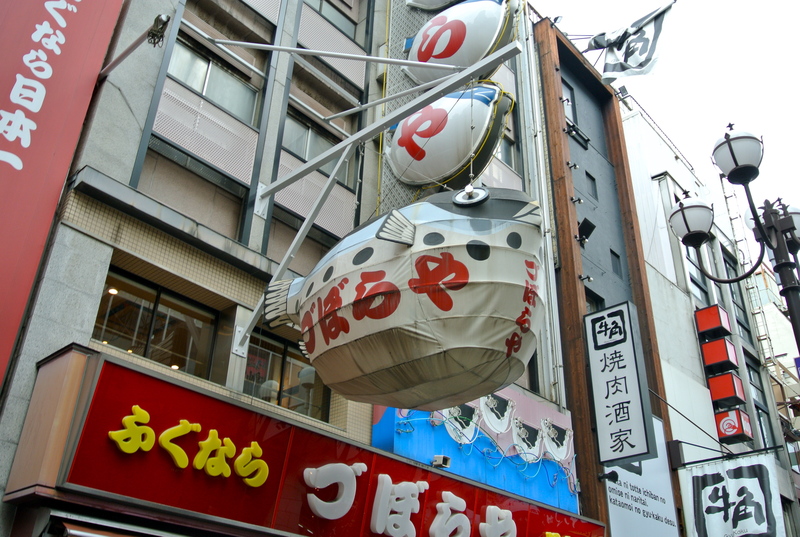 Marina, this is such a great entry about the Osaka metropolis, with specific focus on the city life. 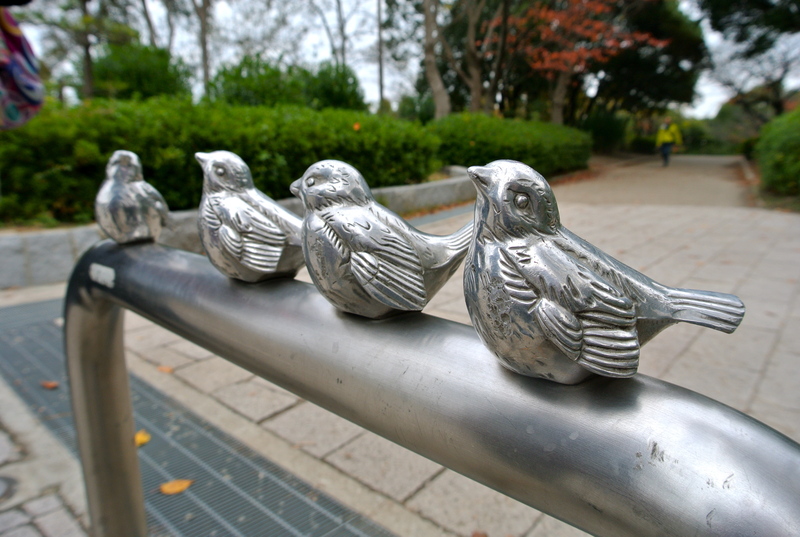 Your writing style is filled with strong visuals, and the pictures really supplement the entire vibe quite well. 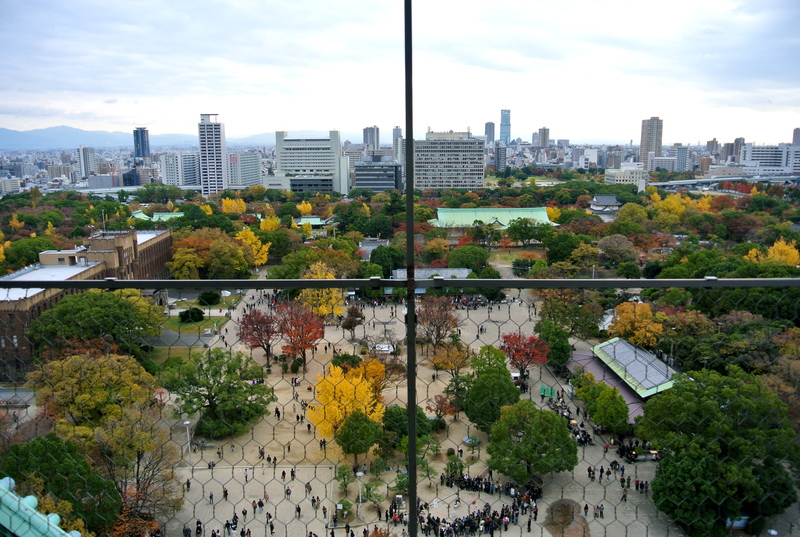 I particularly enjoyed the bit about the history of Osaka castle. 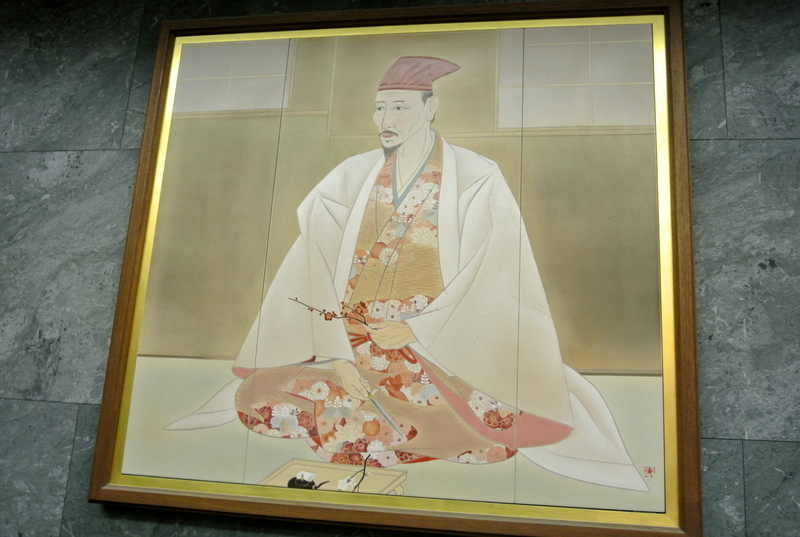 I am such a fan of the feudal era; and I’m fascinated with the Oda-Toyotomi-Tokugawa unification. So, I really enjoyed how you mentioned the second great unifier! I can’t wait to read more about your adventures!